Forbes reports that nearly 91% of online adults use search engines to find information on the web and nearly 65% see that search as the most trusted source of information about people and companies. 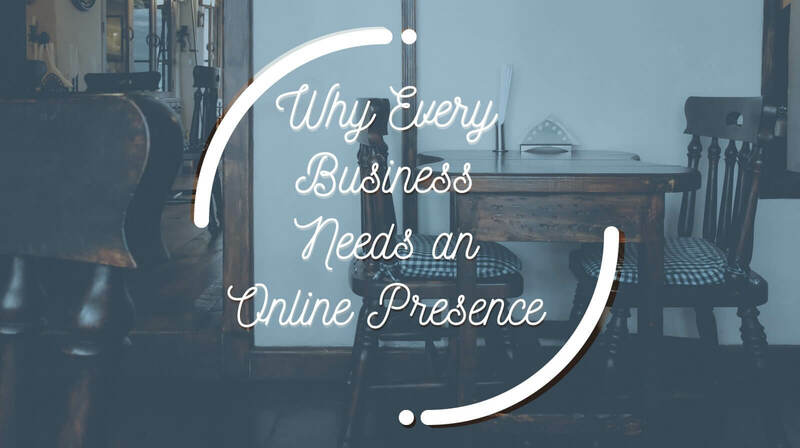 The stakes are high, and it’s more important than ever that your business have an online presence. But, if you’ve already spent money on traditional marketing and haven’t seen much return for your investment, you might be wondering why you should invest in creating a web presence for your business. Negative online reviews are statistically proven to drive away business. Even a single poor review on the first page of your business search results will drive away as much as a quarter of potential new customers, and three negative reviews could cost you nearly 60% of potential customers. You don’t need to have perfect 5-star reviews, which can be a problem in itself by making the reviews seem dishonest. But having an online presence allows you to control the narrative by featuring reviews from satisfied customers and build trust in your product. If you are getting serious about building your online brand you are probably considering hiring some qualified professionals to improve your SEO and your website design. However, creating an online presence doesn’t carry all the overhead costs that more traditional print-based marketing does. You don’t have to pay for postage or copies, and you can reach thousands of potential customers with a few strokes of the keyboard. Digital marketing harnesses the power of data to show you what techniques are effective and what isn’t. We can see the rate-of-conversion for each campaign and the click-through rate of each category of product. This will allow you to identify what appeals to new customers and who your target demographic is. We can also help you tweak your branding so that you appeal to new kinds of customers and broaden your commercial appeal. Particularly small businesses that get most of their clients by word-of-mouth need to adapt to changes in the referral market if they want their business to continue to grow. Customers who hear about you from a friend or notice your business storefront, will still use search engines to get information about businesses, looking up hours and pricing and reviews. With so many customers turning to your website before they set foot in the store, not being online is not an option. By liking and sharing your content your satisfied customers become brand promoters. By having an online presence, you are creating content that your customers respond to and share on their social networks, which are often filled with like-minded consumers. It also creates a space for customers to engage with you and your business in a digital space that’s already a part of their daily lives. This allows you to provide better customer service and also to better manage your online reviews. There are a few myths that keep local businesses from improving their SEO. The fight against big brands online can seem unwinnable and not worth the effort, especially if your business model is targeted to a local market. However, small businesses should keep in mind that new customers will be poached by new businesses that are wise to the way people use their smartphones to make spending decisions. Furthermore, there are many ways you can put local SEO to use for your own business, even if you aren’t a big brand. More and more customers will pull your business up on their phone at some point, looking to find their way to your brick-and-mortar store, to leave a review, or to make a purchase. Potential customers also use their phones to search for whole categories of services, from things as general as “good brunch places” to things as specific as “eco-friendly screen-printed T-shirts.” If your business website doesn’t work well on smartphones, you risk losing potential clients. It’s important to find a web developer you can rely on to deliver good design and content. You have to work together to deliver excellent accessibility and a strong conversion rate. Without a person who is really on your team you may find that they can’t communicate your business vision. Worse, if they aren’t qualified they may charge you for a product they can’t deliver. If you are just starting your search for a new web-developer check out our recommendations for finding a trustworthy professional. Don’t be intimidated by building your business’s online presence. With the right tools and with professional support you can carve out your niche in the local markets, bringing in new customers and building brand loyalty. If you’re feeling intimidated or don’t know where to begin, reach out to our team here at Build/Create and we will strategize with you about how you can improve your online profile and reach new clients. No business is too small to benefit from the digital era.